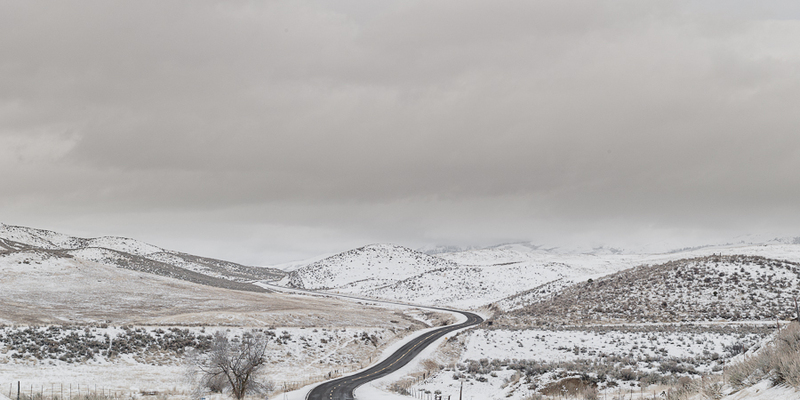 Lonesome road through rolling hills near the Utah-Idaho border. Oh, how I love snow. The black windy tar with the white snow is just awesome.